Sign up to be among the first to access tickets, and hear the latest updates and speaker announcements! Picture a tech leader in your mind. I’ll bet you see a man. "WHERE'S THE DIAL NOW?" REPORT. 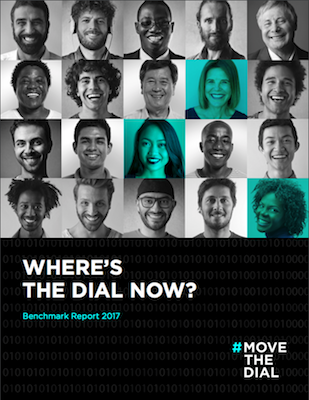 “Where’s The Dial Now?” is a benchmark report that examines the current state of women in the tech and innovation community in Canada. By quantifying the gender disparity that exists in technology today, the report helps to generate awareness and inspire people like you to take action and help drive positive change. We believe that women will become what they can see. #movethedial Stories is about sharing the authentic experiences, challenges and triumphs of all women in all levels of the tech and innovation ecosystem through global community events and an expansive digital media content hub.